Is a Mindfulness Meditation Practice on Your New Year’s List? The December-to-January holidays sweep – along with busy schedules, multiple social commitments, and richer fare than usual – also always brings a sense of promise. As we take stock of the past year and look forward to the next, the possibilities can seem endless for becoming the best, healthiest, happiest, and most authentic person we can be. And there never seems to be a shortage of new plant-based healthy living books or plant-based cookbooks to fan the flames of our motivation. This is good because we can never get too much support for our worthwhile endeavors. Yet if you aren’t already engaging in one, have you considered a mindfulness meditation practice as being that which will make a big difference for you in the new year? Often overlooked is this one element that can mean the difference between roaring success or what can seem like flaming failure of our new self-improvement projects. That is the development of mindfulness. Mindfulness is the part of our thinking that can be strengthened to help us find our way through what can often seem like wild fluctuations of thought. Thought patterns that can keep us constantly vacillating between this, that, or the other thing – such as when it comes to our commitment to better eating and active living. Thought patterns that can keep us stuck in the past – our old, perhaps unproductive way of doing things. 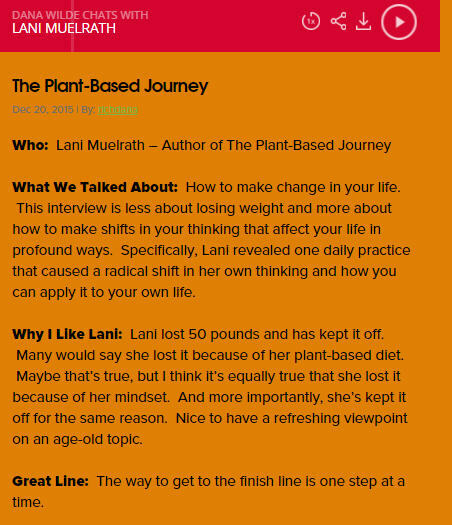 Since the release of The Plant-Based Journey, I have received lots of emails from readers excited about Journey, happy to have the recipe templates, easy meal planner, personal vignettes and case studies, and thrilled about the inclusive nature and step-by-step scaffold of the book. Many times these notes will include an enthusiastic reference and gratitude for the inclusion of the Mastery of Mindset chapter and element. For example, the letter I recently received from a reader in Seattle, Laura. Why Am I Still Overeating? 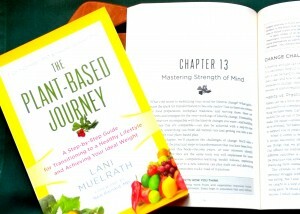 Laura had written to me to express her excitement about how she has finally seen a pathway to move out of habits of dietary self-sabotage and embrace something new with the steps in The Plant-Based Journey – particularly pointing out how valuable to her have been the lessons of Chapter 13 – “Mastery of MIndset”. Yet sometimes the emails I receive say something about “hoping to finally get it together” with their plant-based plan. 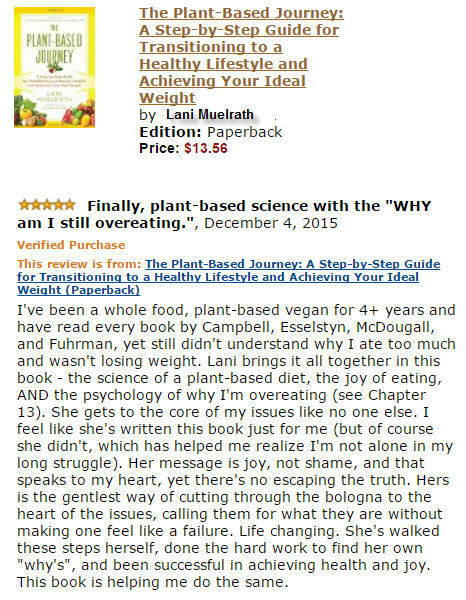 On more than one occasion the answer has been “I skimmed it” or “I plan to get back to it” – missing entirely that the mindfulness aspect of making change is, for many of us, the linchpin in the entire affair of transition to plant-based living. Yes, we need the basics of what’s on our plate, what’s not, and how to plantify our fare. Yet for those of us who still struggle even when given the “Here’s the problem, here’s the solution, now just do it”, it’s a little more involved than that. That’s where mindfulness practice comes in. We invite a whole new level of embracing new guidelines of eating and healthy living when we start to pay attention to our attention. 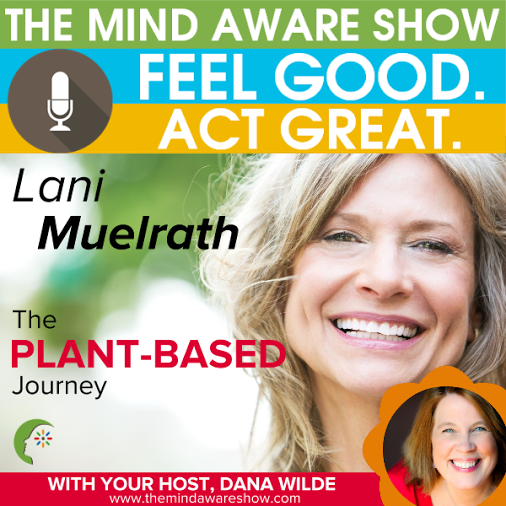 As if perfectly timed for the launch into a new year, I was contacted by Dana Wilde, creator of The Mind Aware program, to be on her podcast. Dana’s programming archives feature mindfulness conversations with many luminaries, including Jack Canfield. 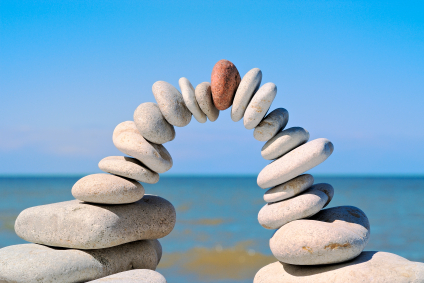 Listen in on our conversation about this often overlooked missing link – the mindfulness connection. No matter how long an unhealthy habit or old tape has been running, it is never too late to shift it. A shift in perspective you can have by practicing mindfulness can create change in previously unimagined ways. While you will hear lots more from me about it as we move forward together on this journey, you there are several resources for mindfulness right here on the juice for the journey blog. Perhaps previously overlooked, here is a simple way to start a mindfulness practice today. You are the only one in the plant-based world who makes a point of dealing with this – as you called it in your newsletter – ‘door #3’ – and I love you for it! It’s so true that we are used to just not paying attention to, as you put, ‘paying attention’. It took me a long time to get the value of that, but now I’m all on board. Great article. Can’t wait to see what you have in store for us in the new year and can’t wait for tomorrow’s Healthy Happy Club this week! Katherine, thank you for sharing your thoughts and I really appreciate that you have taken the time to do so. I know there are plenty of people who can come on board to a dietary shift just by making a quick decision, but for those of us who struggle with lingering challenges to making change – like me – there is something else that is needed. A mindfulness meditation practice has made the world of difference for me. You always give me something to think about. I agree with you that it can be easy to just keep thinking it is all about the food, as some of the doctors even say, but for people like me who have had a rough time of it, we just know better. Thank you for being a light along the way. This is a great article. Sophia, it’s always a joy to me when someone expresses a connection with womething here that has made or makes a difference. Just like your message here today. Thank you so much for speaking up! This is such a powerful statement. I now realize that I have a lot to learn. Looking forward to digging In deeper and spending some time on chapter 13. Makes me very hopeful for permanent and meaningful change. Thanks Lani! 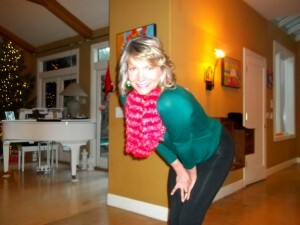 You win the prize Kathy – the fact that this sentence grabbed your attention means you are on to something big. 2016 is bursting with promise!